Planning your next family vacation and don’t know where to start? 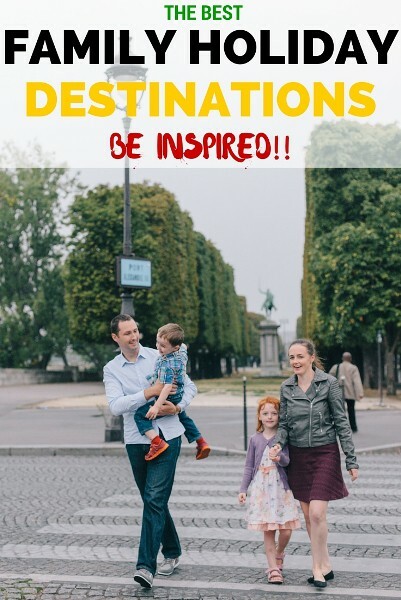 Or just looking for some family travel inspiration? Then this massive list of the world’s best family holiday destinations is for you! To say the world is full of top family holiday destinations is not a lie – many many countries can be great family holiday destinations. But which are the best and worthy of your precious holiday time? Below, we have a list of the top 20 family holiday destinations in the world as chosen by myself and other family travel bloggers. Coincidently, I have been to every country on this list except Costa Rica and I have to concur – they are great family holiday destinations. Are any of these best family vacation destinations on your bucket list? 1 Best family holiday destinations in the world! If there is one place that stands out to me as the best holiday destinations for families, it has to be Singapore. This small country is absolutely jam packed full of amazing family attractions, great food and is just such an easy place to visit while still having the benefit of experiencing different cultures. We love the mixture of Malay, Chinese and Indian cultures. 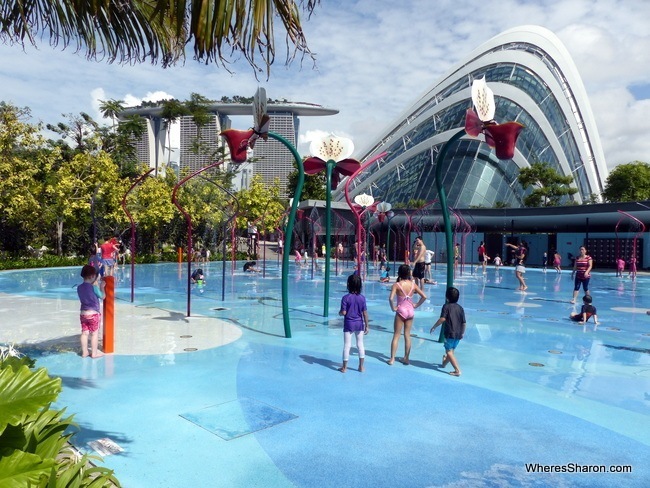 From Universal Studios on the very family friendly Sentosa Island to the futuristic Gardens by the Bay to eating the local fare at a hawker centre, there are many things to do to keep the kids entertained at this best family vacation destination. The subway is efficient making it very easy to get around. English is the common language and it’s on signs everywhere to make things even easier. Singapore is often treated as a quick stopover destination on the way to somewhere else – don’t make this mistake! It is one of the top family vacation destinations in its own right. Hot Tip: Eat, eat, eat! Try out each of the local cuisines and enjoy some of the great hawker centres. Voted by me (Sharon Gourlay). Read more about Singapore in our massive guide to visiting Singapore with kids. 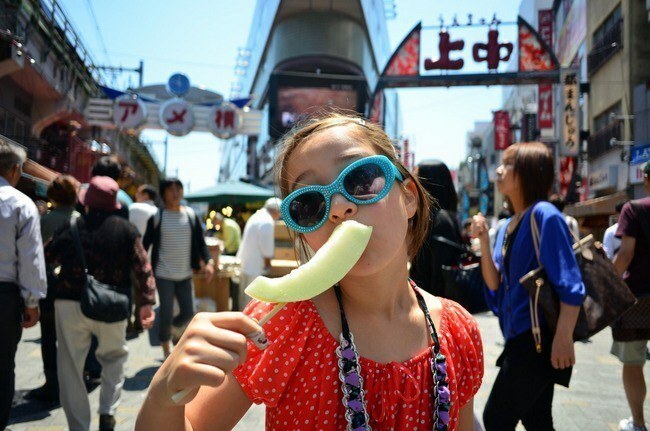 No matter the age or size of your family, few travel destinations compare to Japan. It’s safe, clean, and rich with unique activities. In addition to Kyoto’s 17 UNESCO sites, the area has hiking, rafting and lessons in traditional crafts. Then there’s Tokyo, where past and future melt together like nowhere else. Kid-friendly museums and public events are all over town, many of them cheap (or free) for children. Japan’s transportation system is unmatched, and trains link cities to the country’s wealth of natural beauty: pristine beaches, snow-capped peaks, and lush, verdant valleys. We’ve been in and out of Japan since 2002 and still find new places to explore. The country’s distance and prices once made it prohibitive for some, but the yen’s slow descent makes now a great time to to visit. Public maps on the street and subway may not face north, but rather the direction you are facing when looking at the map. A “north” indicator is usually in one corner of the map. Shoes off in Japanese homes, right? Well, expect the same in some public buildings and in all taxis and trains. If kiddo wants to stand on a seat, slip off the footwear. Southeast Asia is a vast and diverse place. If you’re new to the East, or simply want to visit somewhere that’s easy to navigate and reflects some of the region’s best qualities, then head to Malaysia. English is widely spoken, and the country’s mix of cultures — Malay, Chinese and Indian, to name a few — makes it a great place to learn…and to eat! Looking for parks, museums and city life? Kuala Lumpur has you covered. Keen for beautiful beaches? Langkawi and other islands await. Interested in history? The colonial origins of Penang and Malacca are fascinating. Craving adventure? Malaysia’s rainforests have orangutans, tropical birds and countless other rare animals. Moreover, if you believe in the importance of tolerance and multiculturalism, then consider Malaysia’s mix of ethnicities, religions and cultures an astounding opportunity to observe coexistence. Bring a jacket: Yes, Malaysia is tropical, but buildings and shopping centers are often frigid. Malaysia is a majority Muslim country, but quite tolerant of other beliefs. So yes, you can wear that bikini on the beach, but maybe not into the restaurant. Booze and bacon are available, too, but they’re often tucked into far corners of large supermarkets. Given its small size, Sri Lanka certainly packs a big punch. This little island seemingly has it all and is one of our best holiday destinations for families. Here you’ll find palm-fringed beaches, turquoise waters and laid back coastal villages. There’s also the charming historic fort town of Galle, that’s a joy to wander around. Away from the coast, Sri Lanka boasts stunning landscapes and dramatic scenery. This is also where you’ll discover the incredible ancient rock fortress of Sigiriya and the sacred mountain Sri Pada (Adam’s Peak). Sri Lanka is one of the best places in Asia for seeing wildlife, with over 100 protected areas home to leopards, wild elephants, sloth bears and much more. You can even spot blue whales off the island’s southern coast! For a more hands-on animal experience, kids’ can release baby turtles into the ocean or help bathe an orphaned elephant at the Pinnewala elephant orphanage. For active families, Sri Lanka also delivers with water sports galore as well as trekking, canoeing, mountain biking and white-water rafting opportunities. In short, there is something here for everyone and we can’t wait to go back! Hot Tip: Sri Lanka experiences two monsoons; the Yala and the Maha. The Yala monsoon season (May to August) affects the hill country and the south and west coasts. The Maha monsoon season (October to January) brings rain to the East and North of the country. Don’t let the monsoons put you off, however, showers are usually short and sharp and good hotel deals can often be found during these months. 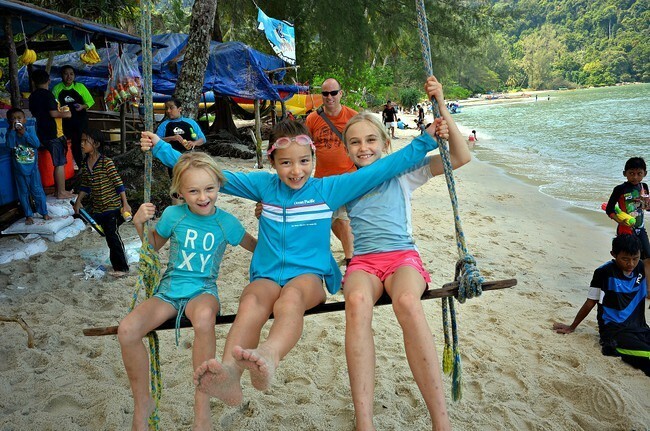 Thailand is my pick for one of the best countries to visit with children. What stands out most is the friendly nature of the Thai people, especially in the North and especially in regards to children. Aside from that, we discovered from being there for over 6 months that the diversity is top notch. 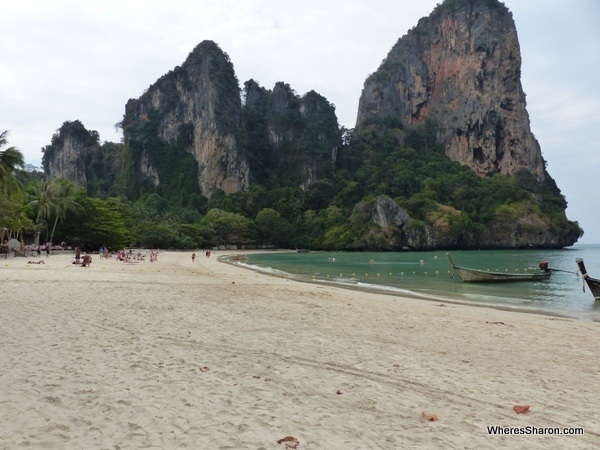 You can enjoy snorkeling in the ocean, fire shows on the beach in the evening, trekking in the rolling hills of the north, visiting temples, chatting with Buddhist monks, volunteering to work with elephants, reveling in the celebratory nature of the people through festivities like Yi peng and Songkran and enjoy one amazingly delicious meal after another. It truly is a country of a thousand smiles! Hot Tip: Use overland travel whenever you can. Through trains and bus rides we were able to see more of the stunning country side as well as connect with locals. Some of our favourite travel stories ever, the hysterical ones that are not necessarily funny at the time, came from all those long overnight trains and 5 hour bus rides! 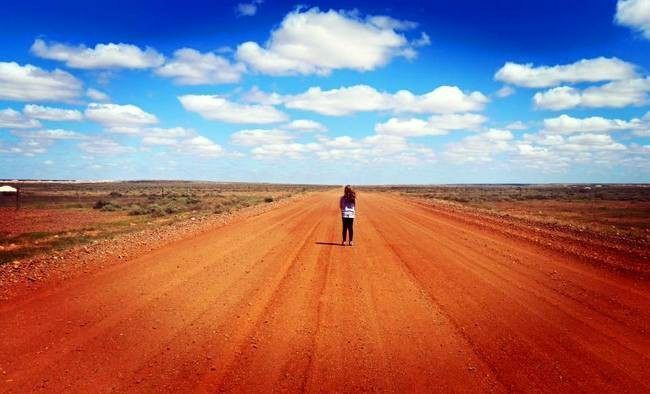 Although we are Australian visiting places here in our home country is a lifetime odyssey! So many people think that Australia is a small country that can be seen within a couple of weeks, but our country is HUGE! From our beaches, red center, art, culture, flora and unique fauna there is something for everyone! And if you are seriously lucky and you are in the right state at the right time, you can experience 4 seasons in one day! Australia is very family friendly. Like most places, we can learn from others and can always improve but most of the time Australians are more than happy to help. Bring your children to Australia and you will want to come back because the possibilities are ENDLESS! Hot Tip: The biggest problem you will face is time. Don’t make the mistake that you can see it all… we live here and we will never see it all! Plan and look into everywhere you are going to make the best choices. I’m not reinventing the wheel when I recommend New Zealand as one of the best family travel destinations. This is a country that has already been discovered, and beloved, for ages now. You will not find a more beautiful – and in fact, magical – country. There is something for everybody. For the cultured, check out all six stories of the national museum, Te Papa, in Wellington. It’s free. For the adrenaline junkies, visit the Agroventures Adventure Park in Rotorua, where all in one place you can compete for a world record in the Schweeb (the world’s first human powered monorail racetrack), try bungee jumping or experience freefall. For the movie lovers, visit The Lord of the Rings filming locations, from Mordor to Hobbiton. For the animal lovers, there’s whale and dolphin watching, snorkeling and seals at the phenomenal beach in Kaikoura. For the foodies, try Christchurch’s Burmese restaurant The Bodhi Tree. For the outdoorsy, nothing can match renting a campervan while staying in comfortable, safe, and kid-friendly camping sites all over the country. Be sure to purchase the New Zealand camping guide ebook to get reviews about every camp site you’ll see along the way. Austria has a royal past, a progressive present, and some of the most stunning outdoor landscapes in the world. You can witness the opulence of the Hapsburg Royal Family who ruled the world for centuries and made Austria one of the best countries in the world for palace visits. The country abounds with other kid-friendly options. Playgrounds are often creative, artistic spaces and you can discover exciting children’s museums, for example at Schönbrunn Palace or inside the modern Museumsquartier in downtown Vienna. 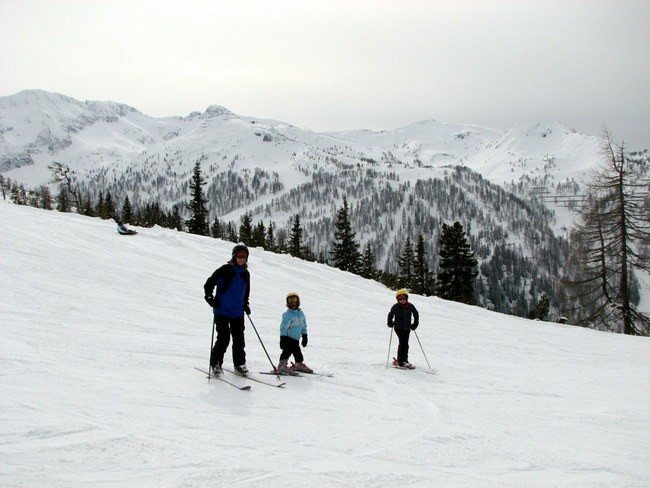 There are options for family hiking and skiing in the mountains, and amazing access to the outdoors by public transportation from the major cities. Austria is home to some of the best music in the world and a great place to expose your kids to classical music and music history. It is also famous for chocolate cake (Sacher Torte) and glorious white horses (Lipizzan Stallions). For mom and dad, the beer is pretty great too and many beer gardens have on-site playgrounds to entertain the kids. Hot Tip: Visit in early winter when crowds are gone, the Christmas markets are twinkling, and there is snow in the mountains. Croatia, the land of 1000 islands, with its laid back capital of Zagreb and UNESCO-listed Dubrovnik – it’s cliche but it’s true – there is something for everyone. Especially kids. Having lived in Croatia for more than three years now, I can tell you it has to be one of the safest parts of Europe and the most relaxed about travelling with kids. Here you enjoy kid-friendly activities like swimming under waterfalls, wild horse jeep safaris, making sand castles and spending the day in fun museums like THE Optical Illusions Museum in Zadar and Zagreb. And, of course, there are 100’s of safe beaches to choose from. Hot Tip: When in Dubrovnik head out with the kids after 4 pm, it’s cooler and the cruise ship crowds have already departed the city. When one thinks of France, they might immediately think of Paris, but this country has more to offer than the City of Lights. 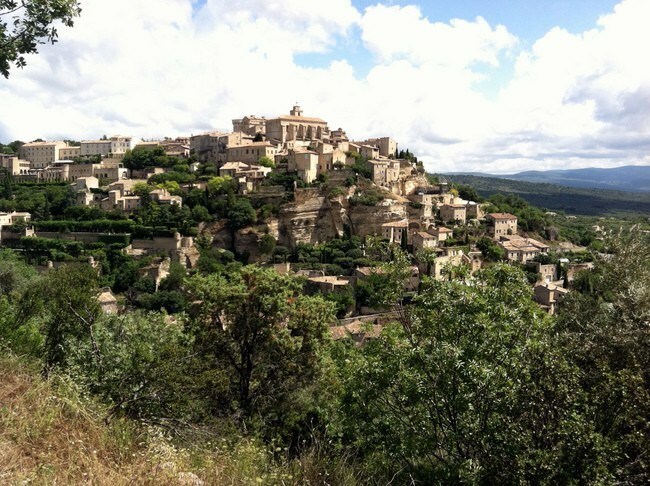 Paris is delightful for families with the Eiffel Tower, Louvre, and Notre Dame, but why not leave the city and explore the chateaus and caves of the Dordogne or the beautiful beaches of the Côte d’Azur? Don’t forget the lavender fields and Roman ruins of Provence, or the history lessons to be found along the coast of Normandy. Wherever families find themselves in France, they are sure to encounter warm hospitality, amazing history and fabulous cuisine. The most difficult decision families must make is knowing which region of the country to explore first as they are all special in their own way. 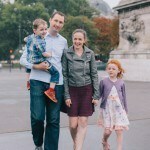 We’ve visited 15 countries in Europe with our children, and France is their favorite country that they ask to return to each and every trip. Hot Tip: For first timers visiting France, head to Paris and then choose a separate region of the country to explore. Paris is expensive and not representative of the rest of the country. Staying in the city alone is to miss out on the magic that exists outside its walls. After spending the first five years of my kids’ lives in Germany, and then moving back to the U.S. I have confirmed my thoughts that Germany is the ideal family travel destination. The German way of life, and focus on leisure activity, mean that the infrastructure is in place to make everything easy for visitors. Especially those with kids. Take food, for example. My kids loved that there were sweets available everywhere. I appreciated that it was easy to find organic and healthy options at restaurants. My favorite places, though, were the Elterncafes (parent cafe). I would stop at one for a coffee and a snack, and my kids would play in an attached play area. Speaking of play areas, many large playgrounds are attached to biergartens and biergartens are attached to small playgrounds. Throughout the country there are options for everyone in the family. Germany has one of the largest zoo per capita ratios in the world. There are kid-friendly museums filled with anything from interactive science activities to luxury cars. Imagination comes to life at the castles that dot the whole country. 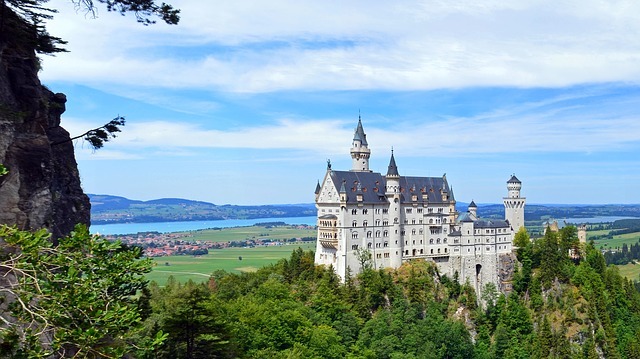 And for people who love fairy tales, there’s even a route to follow some of the world’s most popular stories – the Brothers Grimm Fairy tales. Hot tip: Look for family-friendly deals on public transportation. Kids under 6 usually travel free with an adult and families can take advantage of group rates when traveling together. If you have a little kids and are booking a long-distance ICE or IC train, look for a kinderabteil. These rooms offer extra space for families for kids to play or to park a stroller. 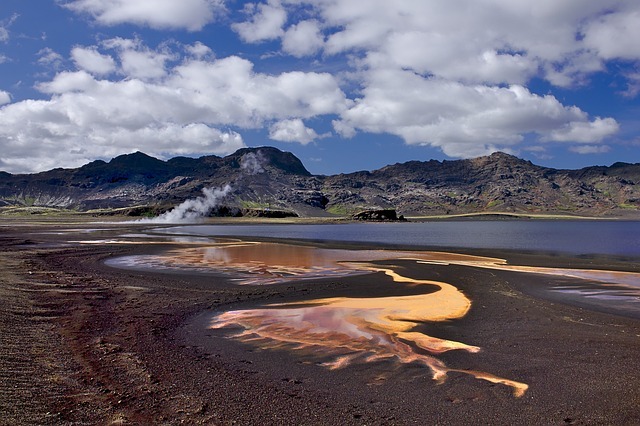 Iceland, land of fire and ice, is one of our favorite vacation destinations for families. The unique landscape of erupting volcanoes, waterfalls, geysers, glaciers and black sand beaches make this an unforgettable place to visit. There is no shortage of activities that include glacier walks, horseback riding, hikes along waterfalls, rafting along canyons, ATV rides along lava fields and wildlife watching. One of our most memorable experiences was seeing thousands of puffins in the wild. 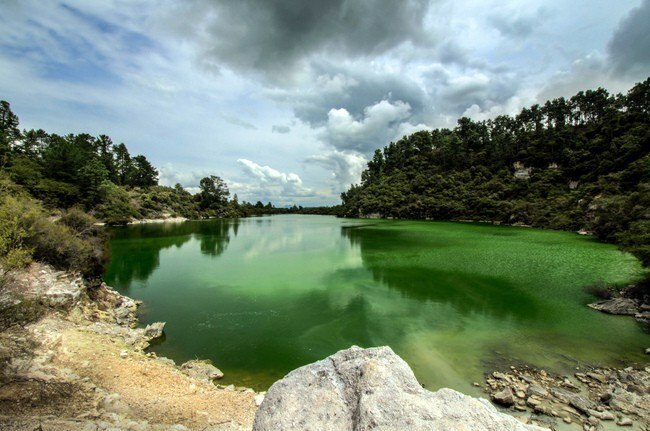 After all those activities, soak in one of the natural hot springs or the popular Blue Lagoon. It’s also a very interesting culture of Vikings, trolls and dwarves. Hot Tip: Be sure to eat a Skyr (Icelandic cultured dairy product) and their popular hot dog made from Icelandic lamb. Ireland is an easy choice for a first European experience for families! Ireland is a land of magic and mystery, history and hauntings, faeries and friendly people, with no (ok, very little) language barrier. The country feels like it was custom made for family travel! No matter what your family enjoys, you’ll find it! Active family? Try flying a hawk or kayaking in the ocean. Have a wanna-be princess or knight? 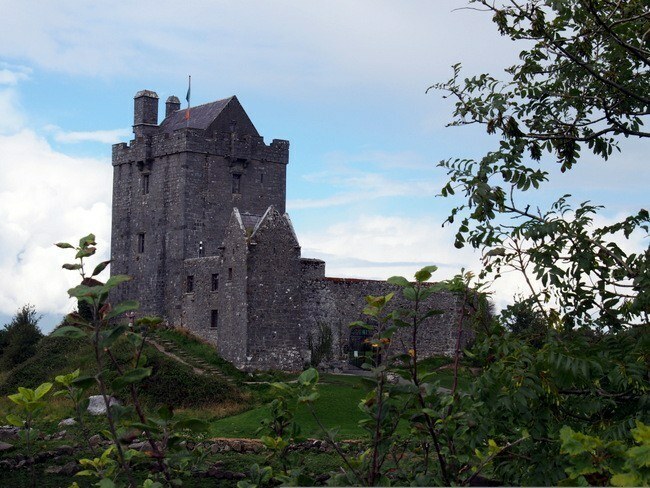 Explore castles from dungeon to battlements before sitting down to a Medieval feast. Sporty? Try the Irish sport of hurling or attempt to keep up with Irish dancers. The magic of Ireland is woven into everything – the culture, history, wonderfully fresh food, and the incredible welcoming of the people. Ireland is everything you’ve heard it is – and more and is one of the great family destinations in the world. Hot Tip: The best way to see Ireland is to rent a car. It really isn’t as intimidating as you may think and it provides the ability to stop as needed or follow the road less travelled. Though Ireland is a small country there is much to do. You won’t be able to ‘see it all’ during a brief vacation, so pick your ‘must see’ sights and plan around those. Stunning Italy is the perfect family vacation destination for your little bambinos. No matter where you travel in Italy, this scenic country provides the ideal mix of gourmet kid-friendly food, world-class art treasures, iconic landmarks and old world charm. Exploring the ancient city of Rome is a child’s delight. Tour the wondrous Colosseum, meander through the bustling piazzas and enroll your kids in gladiator school. 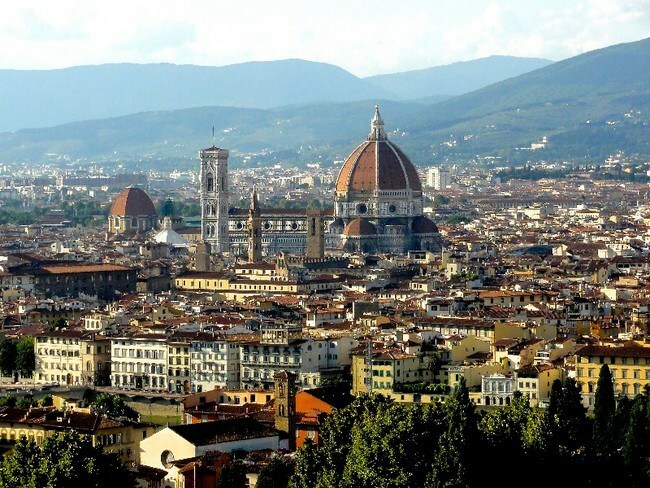 When in Florence, watch your children gawk at Michelangelo’s masterpiece David, take a pizza-making class and climb Piazza Michelangelo for spectacular views! While you and your honey stroll hand-in-hand in Venice, your children will delight in this floating city where getting lost among the canals is half the fun! Try a mask-making class and watch the expert glassblowers at work! Whether you choose to climb the iconic Leaning Tower of Pisa, pretend to call Romeo while on Juliet’s balcony in Verona, swim in the waters of the Amalfi coast, or imagine life as it was in Pompeii before the “big-one” – Italy will fill your children’s imaginations and satisfy your adult cravings for art, gourmet treats and gorgeous scenery. Hot Tip: To keep cool during the steamy Italian summer and to keep smiles on your kids’ faces (and yours too), take a gelato break everyday! Be sure to search out properly made artisan gelato bursting with flavor. Vikings, trolls, roaming reindeer, polar bears, the Nobel Peace Prize, the midnight sun or the northern lights – what’s not to love for the kids in this long, thin country in the northern world? Norway is a very kid-friendly country. In fact, in Norway, kids come first. It’s perfectly acceptable to leave work at 3pm to pick up the kids from daycare. Norway is especially wonderful if you love the outdoors. Nature is all around you everywhere. In winter, tobogganing and skiing (cross-country and downhill) is easily accessible. In summer, you can hike, bike, kayak or raft. Even in the big city, nature is a mere 15 minutes away by public transport. 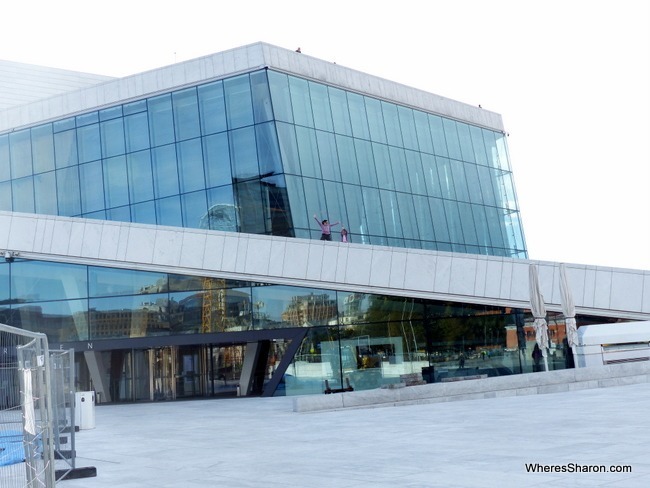 In Oslo, kids love climbing on the sculptures in Frogner Park, running on the sloping Opera House roof and exploring Polar explorers’ ships, balsa rafts and Viking ships. At Langedrag mountain farm, you’ll encounter lynx, foxes and wolves. If you’re there at the right time, you can even play with wolf pups. Out west, quirky Bergen and the fjords attract families as well – whether on a cruise with Hurtigruten or on a road trip along spectacular (and slightly scary) roads, such as Trollstigen (The Troll’s Ladder) or the famous Atlantic Road. Up north you can whale-watch, dog-sled and ride snow scooters. Even further north – we’re talking just south of the North Pole now, you might see polar bears in the Svalbard archipelago. Hot Tip: Feeling adventurous – and on a budget? Allemannsretten (the freedom-to-roam act) gives everyone the right to pitch a tent almost anywhere. 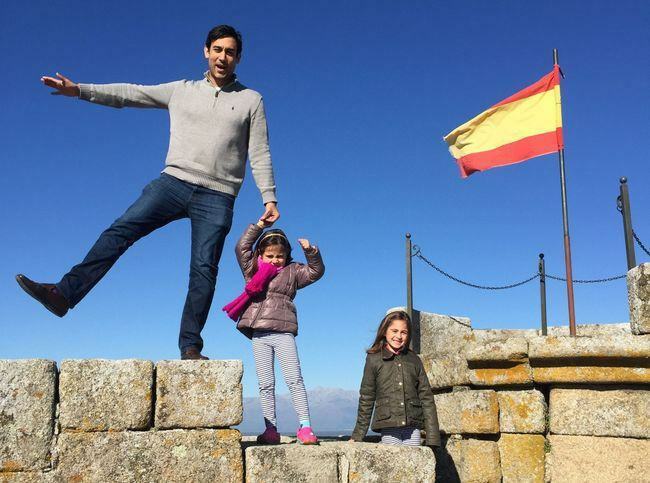 Spain might have a king, but the kids are the ones who truly rule this country. Little ones are an intrinsic part of everyday life. And life seems to revolve around family. Kids are welcome just about anywhere – museums, restaurants, cafes, shops – and playgrounds crop up around nearly every corner. There’s no such thing as “kid-friendly”. Virtually nothing is off limits. Don’t be surprised to see small children dining at three Michelin star restaurants or running around royalty-worthy wedding ceremonies. Apart from being a super family friendly holiday destination, Spain is rich in culture and buzzes with energy. From the beaches of Costa del Sol to the Pyrenees, there’s plenty to explore. Relax on paradisiac beaches in the Balearic islands, marvel at the Moorish influence in Andalucia, relish on fresh seafood in Galicia, discover Gaudi’s Barcelona or explore the capital Madrid and its nearby treasures, like Toledo, Avila and Segovia. You really can’t go wrong. Hot Tip: Spain has a thriving late night culture. Restaurants typically open their doors at 9 p.m. If you’re not up for dinner so late, plan ahead to make sure your family won’t go to bed hungry! It’s difficult to know all of Canada. As the second largest country in the world, its sheer size (5.5 time zones) makes it a challenge to travel round and visit all of its differing regions in one trip. But this should be seen as a family travel challenge and opportunity! 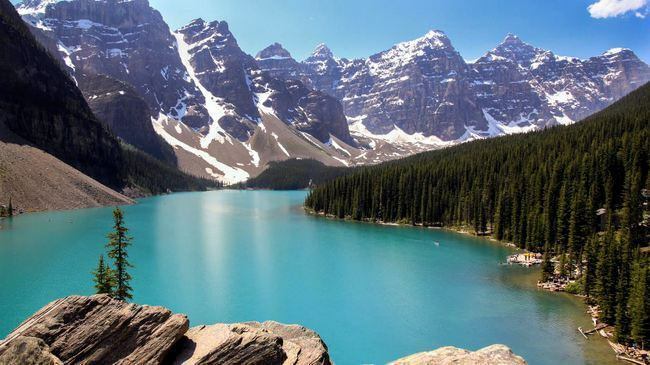 No matter where you choose to visit in this vast land, Canada will amaze and delight with its jaw-dropping natural beauty and warm welcome that few countries can match. From the friendly east coast of the Atlantic provinces, the large, multi-ethnic urban centers of Toronto and Montréal, the golden ranchlands of Saskatchewan and Alberta, vast expanse of the North and Arctic, or the wild west coast of Vancouver and British Columbia, Canada offers travel adventure opportunities for every family. Hot tip: In celebration of Canada’s 150th Birthday in 2017, access to all its National Parks will be free, including Banff, Lake Louise and Jasper. Costa Rica is a country that has it all; wildlife, mountains, volcanoes, lush forests, excellent beaches on both the Caribbean and Pacific, and friendly people. 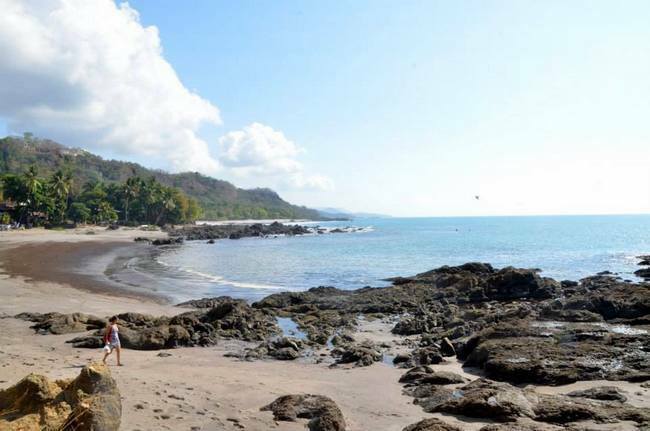 Costa Rica is great for both families who are looking for family oriented vacation destinations where they can relax or families that want to have an adventure. There are numerous resorts where you can enjoy yourself without lifting a finger. There is also a ton of adventures that you can partake in: Climbing active volcanoes, hikes to beautiful waterfalls, dips in wild hot springs, zip lining through the forest canopy, horseback riding, surfing and too many more to count. Our favorite adventure was a family surf camp at Peaks N Swells where the whole family learned to surf. Hot Tip: Kids get tired and adventuring all day makes for cranky kids and an unhappy family. Take an adventure in the morning and do something thrilling. In the afternoon, take some time to play at the beach or the pool and chill out as a family. From wildlife filled jungle adventures to deserted beaches with turquoise waters, Panama has something to offer travelers of all ages. Begin your family adventure in the lively Latin American metropolis of Panama City. Visit the Panama Canal, the chic cafés of historical Casco Viejo, and the Frank Gehry designed BioMuseo Diversity Museum. Use Panama City as a jumping off point to visit the indigenous Guna Yala (formerly the San Blas Island). Follow this up with a stay in a Bocas del Toro treetop jungle lodge, where you can wake up to the birds, and watch a troop of monkeys swing by at sunset. Make your way back to Panama City via the cloud forest of the Chiriquí province. Not only is this highland area known for their delicious shade grown coffee, but it is also a top adventure destination, offering everything from river rafting to zip lining. Despite the fact that most of Panama is very safe for families, take a pass on the Darien Gap region (unless you have a particular interest in fire ants, deadly snakes, wild pigs, and drug traffickers). While you could visit Panama with children of any age, many of the top spots would be best enjoyed with comfortable swimmers. After Singapore, the country that stands out to me most as one of the best family vacation destinations is the USA. 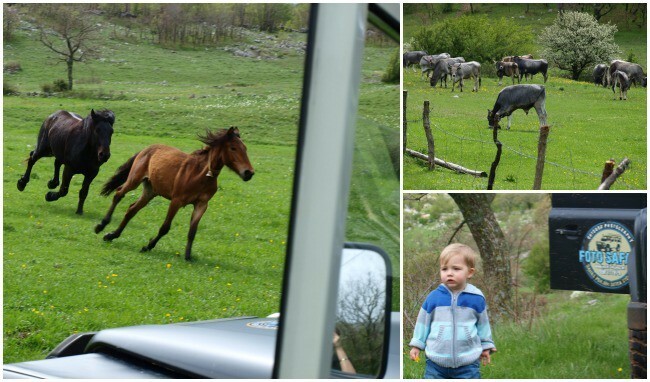 We loved exploring this country with our young kids. In part, this is because the USA is a country made for road trips and I have found road trips to be the easiest way to travel with young kids. It is also a country full of top family destinations and attractions. Most cities seem to have a children’s museum which quickly became our kids’ favourite place to be. There are so many aquariums, zoos, beaches and many other family friendly attractions. 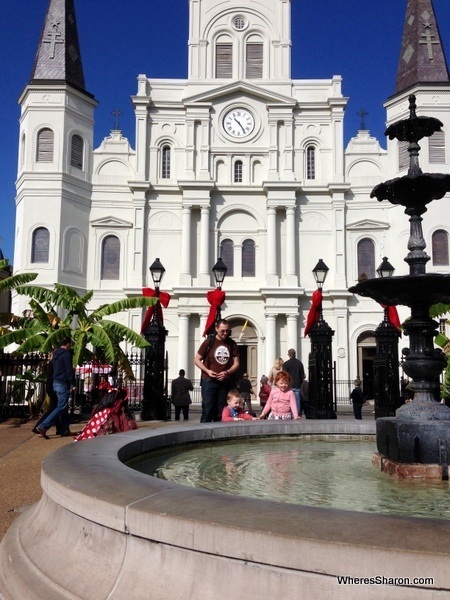 The USA is also great for parents with many places of interest from random places like the Unclaimed Baggage Centre to fabulous cities such as New Orleans. I can’t imagine ever running out of things to do. The people are also very helpful and friendly and it’s an easy destination for us English speakers. We also find it remarkably good value and nowhere near as expensive as we imagined beforehand. We can’t wait to head back and do another road trip! Hot Tip: Get out on the open road! I had visited the US many times before I finally made the time for a road trip and I was missing out. It’s amazing! Voted by me (Sharon Gourlay). Read more about our Deep South Road Trip here. Where would you pick as the best family holiday destination in the world? 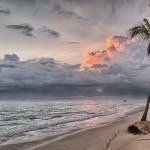 You can also read our articles which focus on the best holiday destinations in Asia, Europe, the Pacific and the Caribbean. Fantastic ideas and inspiring photos! Thanks! Awesome blog Sharon, I would love to travel in Japan. I am gonna follow your tips thanks for sharing.